Happy Monday, Dear Friends! I hope you had a good weekend, and do wish you a lovely week ahead of you. 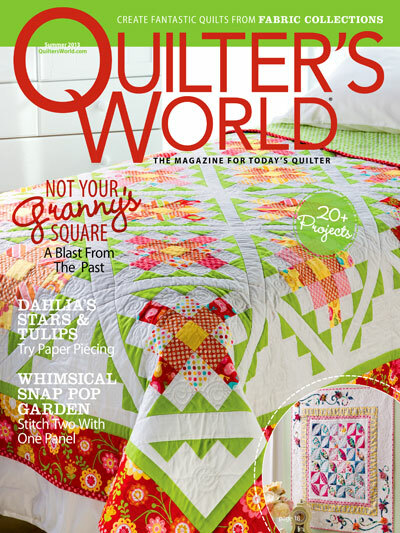 I am happy to share with you today another of my recently featured magazine quilt: In the Meadow in The Quilter‘s April/May 2013 issue. 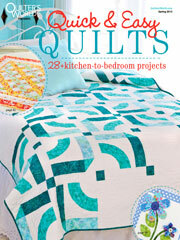 In the following, the quilt is shown with the books on my current reading list. 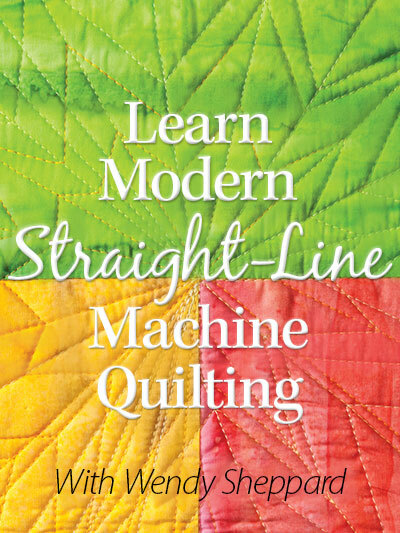 I promise you quilting is not all I do, ha! 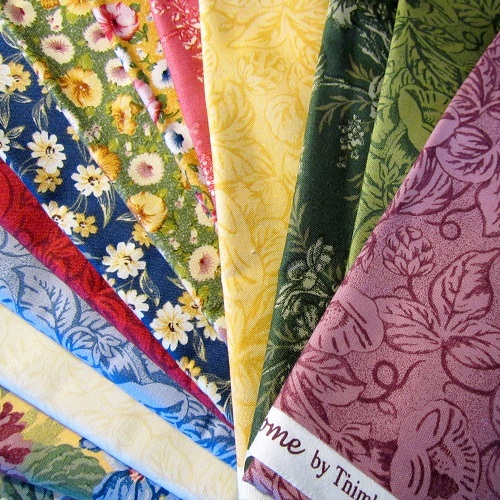 The fabrics are from RJR’s Thimbleberries Sweet Home collection. 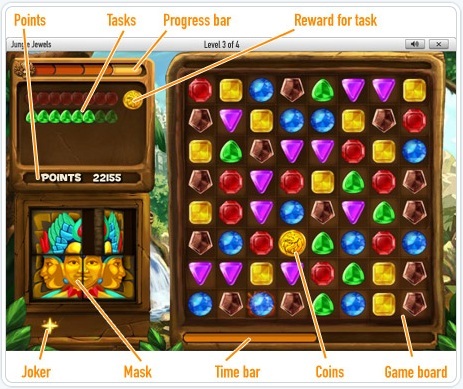 I was reminded of the Jewels game that I used to play on the computer eons ago, so I sought to design the quilt with the feel of “jewels”. It turned out to be a neat way to highlight the different fabrics in the collection. 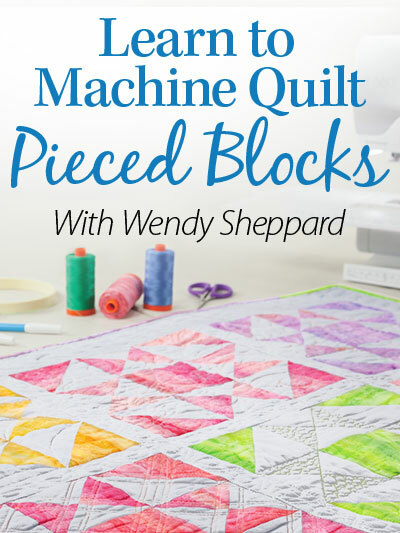 This design turned out to have quite a bit of negative space — perfect for any kind of background quilting. I chose free-handed feathers – surprise! Quilting was done tone-on-tone using Aurifil Mako 50 Cotton threads over Hobbs Tuscany Silk batting. 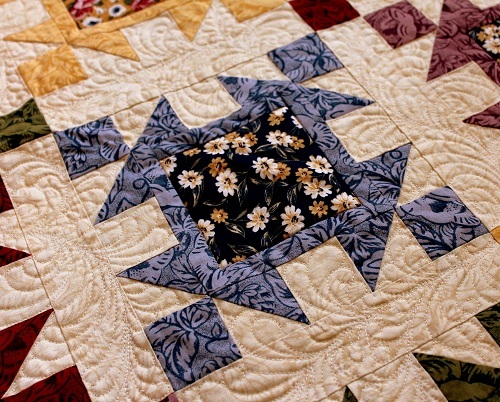 It was hard sometimes during the quilting process to perfectly fit a rounded feather lobe right into the geometry of a square or triangular quilting area. 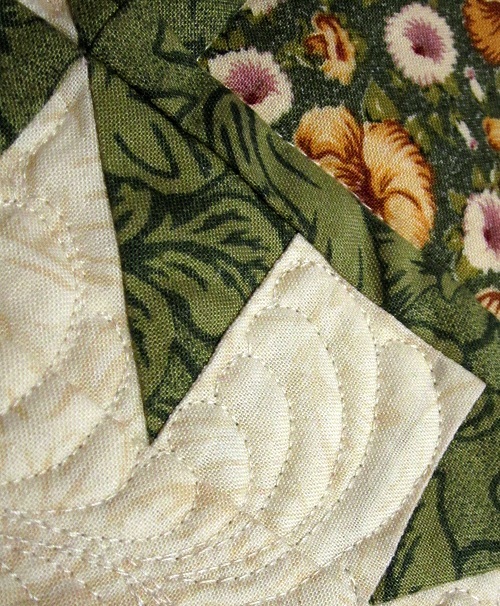 So I quilted little what-nots at the end of the feather lobe to fill in the gap. I wrote more about the what-nots here. I hope you enjoyed visiting me today. As always, I am tickled you choose to drop by. Have a blessed day. p.s. If you have written personal emails to me in the last three weeks and hadn’t heard from me — don’t worry, your emails did reach me more than likely. Time has evaded me the last couple of weeks. I really felt like I was a hamster on a wheel. You WILL hear from me when I can carve out some time to get caught up with my emails! Meanwhile, keep those emails coming. 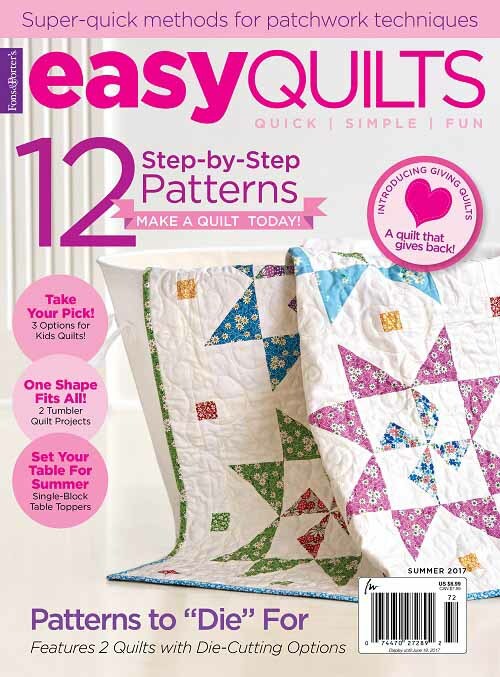 This entry was posted in Quilting, Quilts & Projects: Published, Quilts: Pieced and tagged Feather quilting, Pieced Quilt, RJR Thimbleberries Sweet Home, The Quilter April/May 2013, Wendy Sheppard Designs. Bookmark the permalink. Wendy, this quilt is amazing!!! You have the best eye when it comes to putting colors together!! I just saw that Mrs. Lincoln’s Dressmaker was put on the shelves at my local bookstore. Maybe you could give us a little info on how you liked it. Jennifer C is one of my favorite authors!! 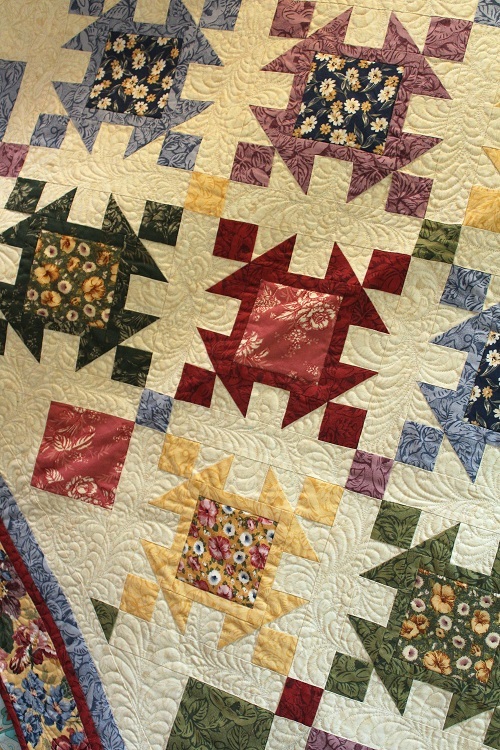 Lovely quilt and beautiful quilting. 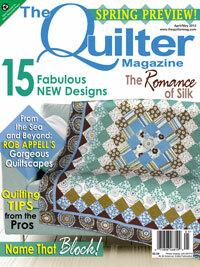 Congratulations on having another stunning quilt pblished! 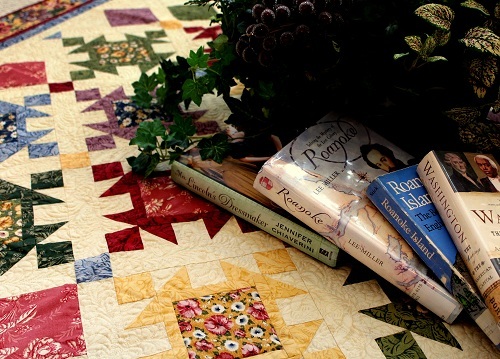 Beautiful work; especially the quilting! I love your fabric combinations too! 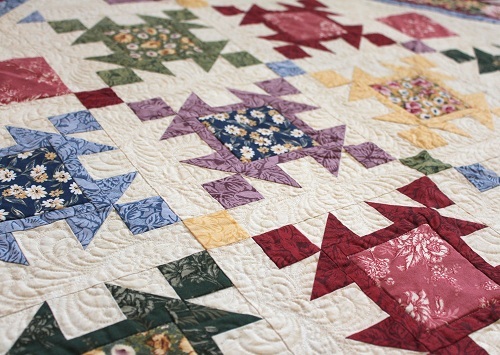 Your quilt sparkles like a box of jewels! How funny, that such a beautiful, traditional looking quilt was inspired by a computer game! Inspiration can come from the strangest places, can’t it? Another beautiful quilt, Wendy. And are those HISTORY books you’re reading? I didn’t know you were a fellow history buff! I’d love to know what you think of the books when you’re done with them. 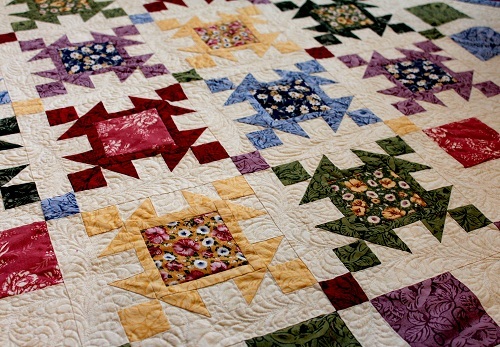 The Quilt is again beautuful! I can´t think of the pattern, but I think it is a tradional pattern, isn´t it? Can you tell us the name?? Not much more to say that hasn’t already been mentioned….I am so enjoying your giftedness!!! And your “slow response” explanation is duly noted! LOL! No need (ever) to respond…..get some sleep!!!! Hehe! I love your quilt, well done. Funny how I am not the least attracted to the Thimbleberries “Sweet Home” collection at first glance yet you have created magic with it. That’s why you’re the artist and I’m not. LOL. 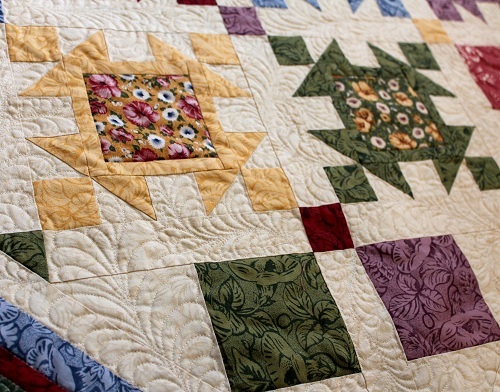 It never ceases to amaze me how turning blocks on point can create a totally different look to a quilt. Great job!! 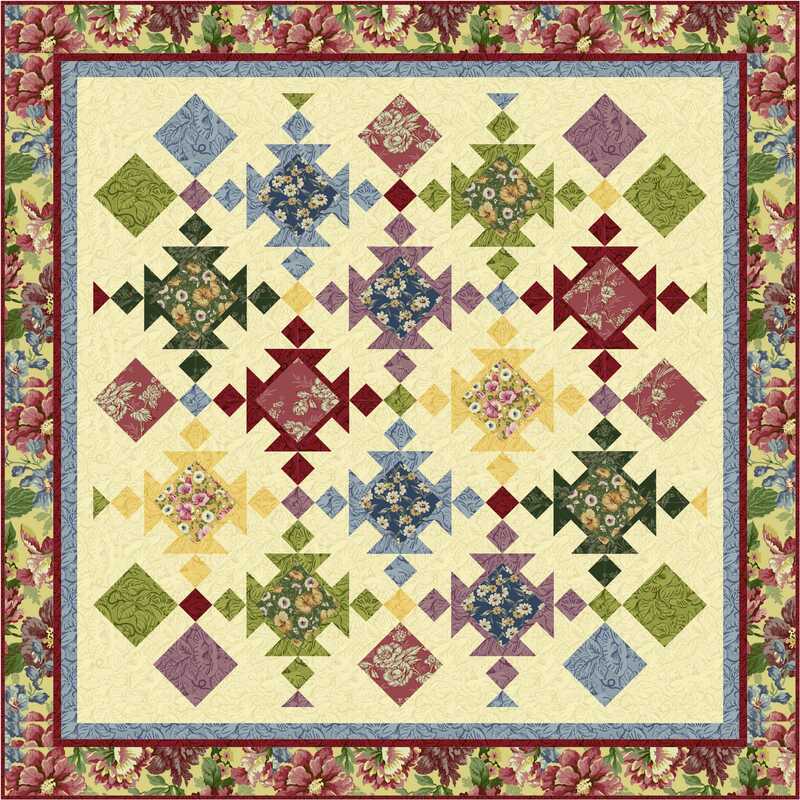 Another beautiful quilt, Wendy…..and I love Thimbleberries but you made this line really shine! 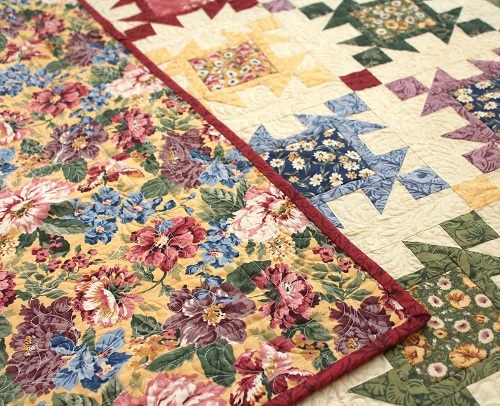 Gorgeous quilting, as usual….that’s what really makes every one of your quilts a real “stunner”!!! Congratulations, Wendy! As always, I am SO proud of you. P.S. Did you hear that Kate might be having a little girl? 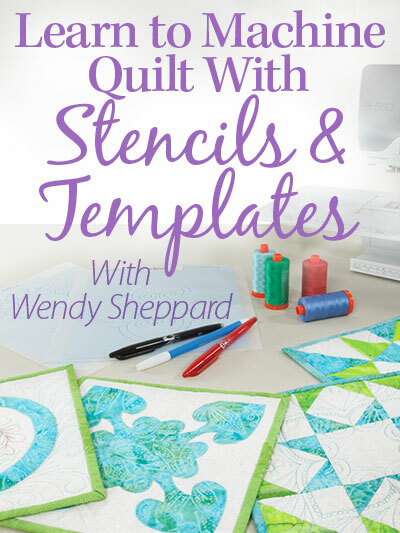 That is a lovely quilt, Wendy, and the quilting really makes the jewels pop. Love the colors! And that border especially. Interesting reading list! The colors in this one are fun. I’m thinking your hands are only idle while you sleep!! 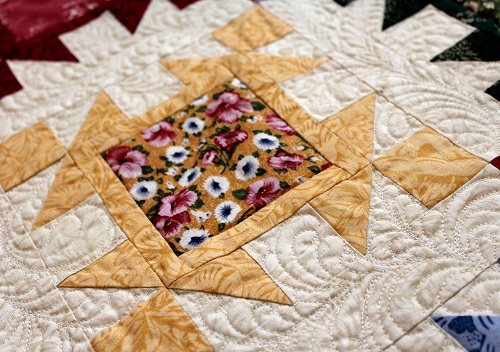 really neat block and as always your quilting is just stunning! BEAUTIFUL, LOVE THE COLORS, I WOULD HAVE NEVER THOUGHT OF PUTTING ALL OF THEM TOGETHER, YOU REALLY HAVE AN EYE.